Adults dealing with growth hormone deficiency often have varying symptoms that can make it difficult for a doctor to diagnose this condition. While one person may manifest physical decline associated with low HGH levels, another individual may notice poor cognitive functions. This is why HGH blood testing is crucial as it is the only way to determine without any doubt if a person has adult growth hormone deficiency (AGHD). The actual HGH blood test is a series of different panels that assess numerous hormone levels, as well as traditional blood count, lipid, glucose, and other blood levels to also rule out other underlying issues that could be the cause of the symptoms. The HGH blood test levels are important because the symptoms of AGHD are often similar to those of low testosterone as well as medical conditions such as leukemia, diabetes, or other health concerns. When testing for HGH levels, the hormone doctor will have you begin fasting at midnight before you are to visit the lab to have a sample of your blood collected. You will not eat or drink again until after your blood specimen collection the next morning. That is also why your appointment will be scheduled for first thing in the morning to allow for an accurate reading and then let you get back on track for your day’s activities. With numerous available facilities, the HGH testing lab should be fairly close to either your home or office. You will arrive at the designated lab at the appointed time and check in at the reception desk. When ready, the lab technician will take you back to a chair where you will verify your information on the lab requisition slip. Next, the technician will tie a latex trip around your upper arm and check to see which vein to use for the HGH blood test. The area will be swabbed with an alcohol wipe, and a needle will be inserted into the vein. The technician will use multiple test tubes to collect the needed blood for all of the different tests the doctor has ordered. After all of the blood has been collected, the needle will be removed, and a bandage will be applied over the needle site. What Does the Doctor Check for HGH Deficiency? When you undergo testing for HGH deficiency, the doctor will order numerous different blood panels (what the tests are called). You will notice that the lab technician will prepare some different colored test tubes. Each has a different type of preservative or testing agent that will prepare or keep the blood safe for the particular tests that the doctor orders. IGF-1 – the most important of all as this one measures how much growth hormone is getting to the liver to stimulate insulin growth factor 1 production. Lipid – the measurements of your cholesterol and triglyceride levels will show if there is a current cardiac risk that we must address before hormone treatment. 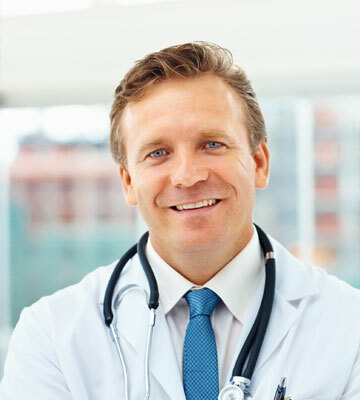 Testosterone – because growth hormone and testosterone deficiencies closely mimic one another, it is necessary to determine precisely what hormone or hormones require treatment. TSH – to determine if any hormonal imbalance is due to problems with the pituitary gland. Estradiol – this will let the doctor know if too much testosterone is undergoing estrogen conversion in the body. CBC – the complete blood count is a panel which will let the doctor know if you are anemic, or if there is a concern about inflammation or leukemia. These are only some of the blood tests that will provide the crucial results that may lead you to treatment for adult growth hormone deficiency. What Do the HGH Blood Test Results Mean? The HGH blood test results will provide the doctor with a clear view as to what is going on inside your body. It is the IGF-1 blood test that diagnoses growth hormone deficiency in adults. The other panels will let the hormone specialist know if there are other issues to address – either before, during, or after hormone replacement therapy. HGH blood testing is quick, easy, and affordable. It is much simpler to undergo this lab test than it is to face other, more invasive diagnostic tests that your family physician might order if he or she does not recognize the signs of hormonal imbalance. If you suspect low human growth hormone levels as the cause of your symptoms, please contact Greenberg Health to have your HGH blood test levels checked and reviewed. Only then can you rest assured that the solution is as simple as affordable HGH therapy.